Overpriced everything, and especially the beer. Fill up on roast pork, dumplings, or a slice from an ox. Fill up my glass, sir, ten euros is very dear. After a liter or two, the lager ain’t half bad. Wooden floors cushion blows, they aren’t really that hard. Teenies step aside now, and be a good lad. If I could only find a way to get her out of that dress. Big security guards, not German, forcibly showing you the door. 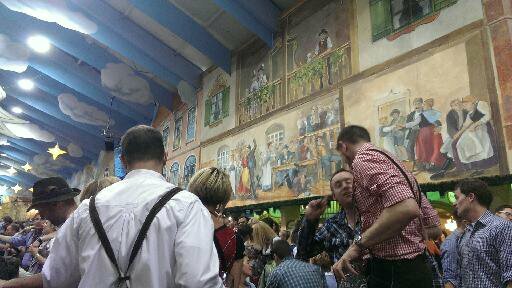 I was once invited to go to the Oktoberfest. I refused and am glad I did. Previous Post Spring Is Here. This Is not a Good Thing for Germans.